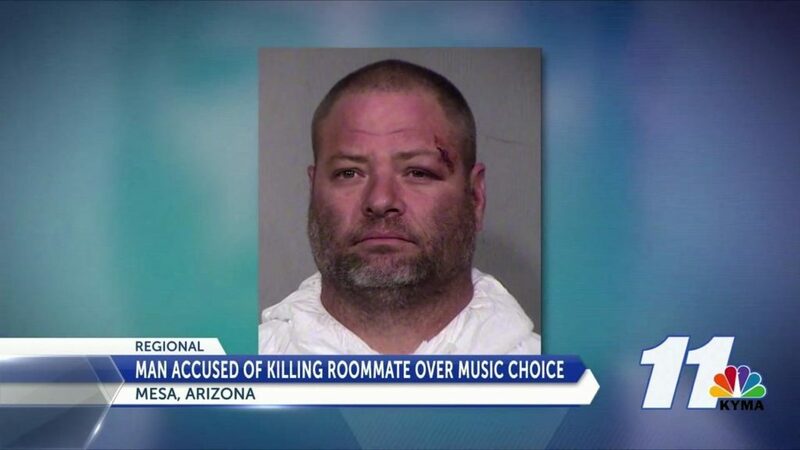 Roommate Killed Over Music Choice!! Police in Mesa say a man is in custody for allegedly killing his roommate over their choice of music. They say 41-year-old Sheldon Sturgill is jailed on suspicion of second-degree murder. It was unclear Monday if Sturgill has a lawyer yet. Police say officers were sent to an apartment complex last Friday about a reported shooting and found Sturgill at the scene. Sturgill reportedly told officers he shot his roommate after an argument and fist fight over the type of music they were listening to at the time. That person’s name and age haven’t been released yet. Sturgill told police he had been drinking shots and beer with his roommate before the fight and shooting occurred. We all have that one artist,song, or genre that we can’t stand but this fuckery is fucked up!!! We at humanfuckery.com send our condolences to the ones who love this man, what a fucked up reason to lose someone!